We want to know how much tree canopy is available at Whittier Narrows! Trees are essential to combat the urban heat island effect. In urban and suburban areas where impermeable surfaces (asphalt, concrete) are prominent, trees help to keep surface and air temperatures cooler by providing shade and evapotranspiration. 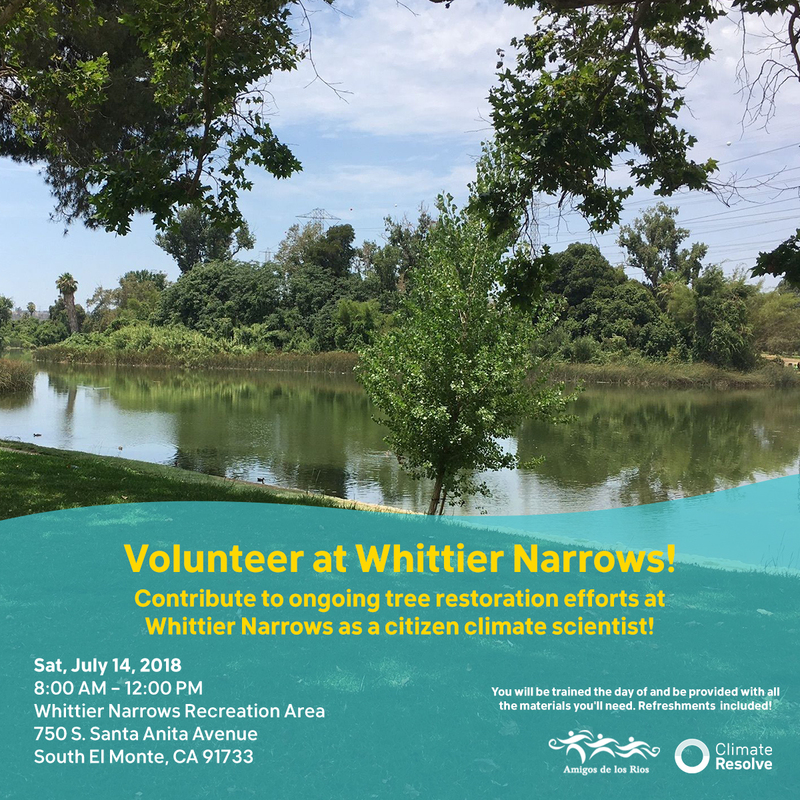 Become a citizen scientist by helping Climate Resolve and Amigos de los Rios measure tree canopy at Whittier Narrows Park. We will train you the day of and provide all the materials. Water and granola bars will be available. Indexing helps give us a baseline of the number and variety of species currently in the park. It tells us the age and condition of the trees so we can assess their overall health and the amount of carbon they sequester. We can also better assess which trees have been infected by the Polyphagous Shot Hole Borer and other pests. Evaluation of the canopy and temperature readings helps us better understand how these trees help reduce the effects of urban heat island. Questions: For Questions about this event, please contact Anna Van with Climate Resolve at 6262486026 or avan@climateresolve.org.